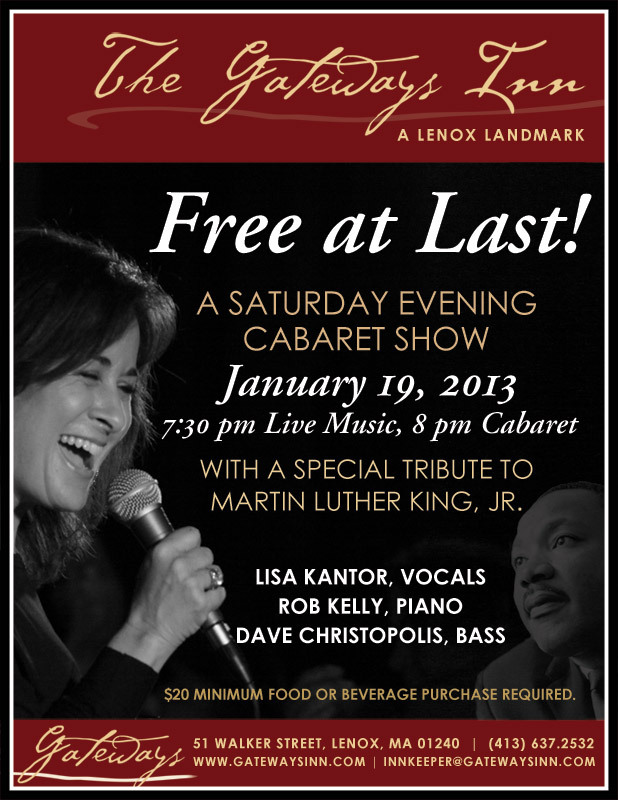 Events | Lisa Kantor Sings! with a Special Tribute to Martin Luther King, Jr. Dangerous Women: Broadway and Beyond! I Can’t Give You Anything… but LOVE! Baby, It’s Cold Outside! A Winter Cabaret!